Laboratory tests found the fragrance and its chemical substitute dramatically calmed mice when their cage was filled with it, causing them to cease all activity and sit quietly in a corner. When the air was breathed in the scent molecules went from the lungs into the blood and were then transmitted to the brain. Professor Hanns Hatt said the results published online in the Journal of Biological Chemistry can "be seen as evidence of a scientific basis for aromatherapy". His team also hope that by changing the chemical structure of the scent molecules, they can achieve even stronger effects. They tested hundreds of fragrances to determine their effect on GABA receptors in humans and mice and found jasmine increased the GABA effect by more than five times and acted as strongly as sedatives, sleeping pills and relaxants which can cause depression, dizziness, hypotension, muscle weakness and impaired coordination. Prof Hatt, of the Ruhr University in Bochum, Germany, said: "We have discovered a new class of GABA receptor modulator which can be administered parentally and through the respiratory air. "Applications in sedation, anxiety, excitement and aggression relieving treatment and sleep induction therapy are all imaginable." 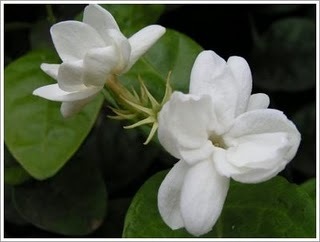 Jasmine is a type of essential oil widely used in aromatherapy, which was pioneered by the ancient Greeks and Egyptians. It is thought to offer various healing effects. Inhaling jasmine oil molecules is said to transmit messages to a brain region involved in controlling emotions. Known as the limbic system, this brain region also influences the nervous system. Aromatherapy proponents suggest that essential oils may affect a number of biological factors, including heart rate, stress levels, blood pressure, breathing, and immune function. Jasmine oil is often touted as a natural remedy for stress, anxiety, depression, fatigue, menstrual cramps and menopausal symptoms. It is also said to act as an aphrodisiac. The name Jasmine is derived from the Persian yasmin which means "a gift from God" so named because of the intense fragrance of the blooms.